Chances are almost all readers have heard of Bali, Indonesia before. This idyllic island is one of the most popular tropical travel destinations in the world and is frequently mentioned on the various “X Places You Need to See Before You Die” lists you can find around the web. The island’s gorgeous natural landscape, especially it’s picture perfect beaches, played a huge role in earning Bali it’s coveted status as a top tourist destination. Thanks to the intense interest Bali has received over the years, the island is extremely built up. This is especially true of Kuta, the area close to the airport where most of the tourists stay. In fact, the level of development has more or less eliminated most of the beautiful landscape that once dominated Bali. However, the persistent ecotourist can still find plenty of great, outdoorsy activities to do here. Bali is a perfect example of how one can find eco-minded activities nearly anywhere in the world, if they’re willing to look hard enough. 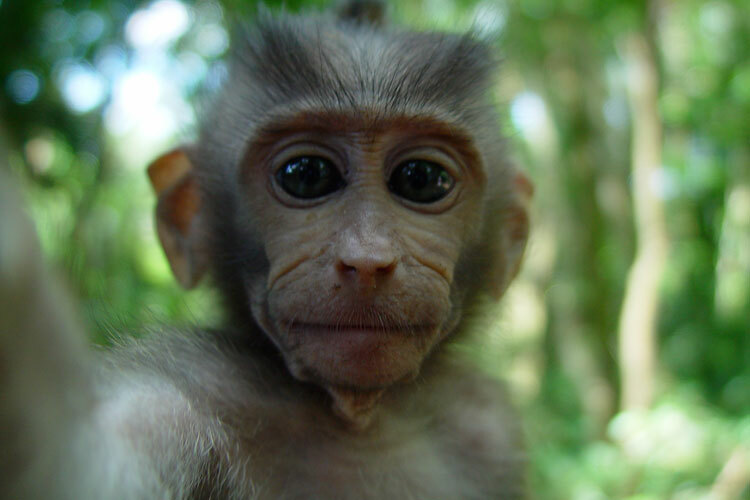 Listed below area handful of my favorite ecotourist activities in Bali, though there are doubtlessly dozens of other, equally amazing opportunities out there. Hiking and trekking are one of the cheapest, easiest, and most spectacular activities one can partake in while traveling to Bali. Since this activity takes so much room, it is necessary to get away from Kuta. I’d recommend traveling to Ubud, in central Bali. Besides being a beautiful, artsy town, Ubud is also a great place to embark on numerous treks through the untouched parts of Bali. One of the most spectacular hikes from Ubud is a visit to the Tegenugan Waterfall, south of town. This lovely waterfall is surrounded by fantastic scenery and truly makes for an outstanding walk. My personal favorite hike in Ubud, however, is the Campuhan Ridge Walk. This trail takes you past a babbling brook and through the rainforest up to the top of gorgeous ridge. As you hike the ridge, you can watch farmers work and butterflies play. At the end of the ridge, you’ll hike through a small village, perhaps stopping for a fresh coconut or a small snack. 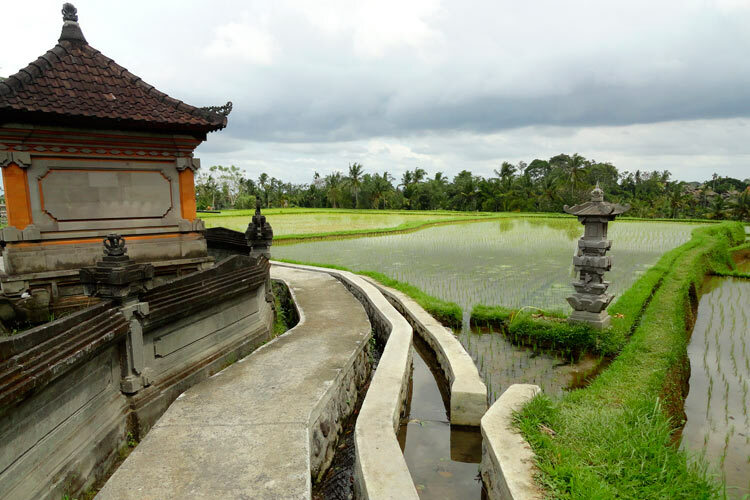 Continue onwards to see some of the more picturesque rice fields in Bali, which can you wander through for a few miles before re-entering downtown Ubud. In all my time in Southeast Asia, this was certainly one of the most attractive walks I’ve been to take. If you’re looking for a more strenuous hike, consider climbing Mt. Batur, an active volcano on the northeastern side of the island. Though Mt. 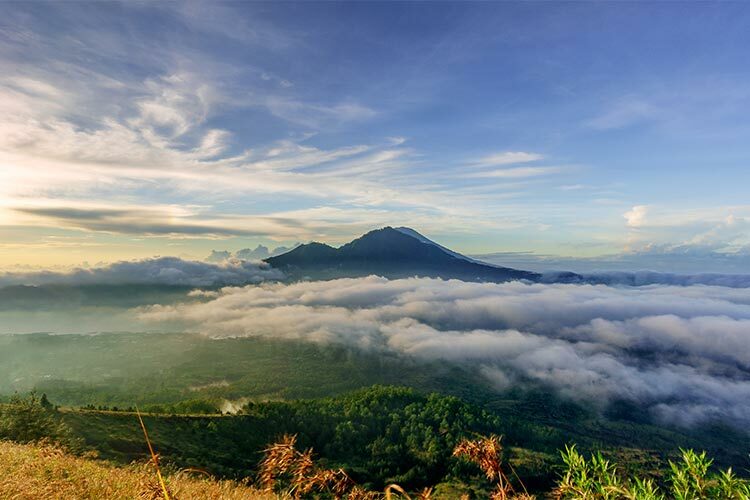 Batur isn’t particularly tall, the hot atmosphere and steep inclines are sure to tire your legs, but don’t worry – the view from the top is totally worth it. Plus, you get to pass through tons of cool ecosystems including alpine, lava fields and eucalyptus forest. At the top of Mt. Batur, there’s a number of active steam vents. The rocks around these vents get quite hot, hot enough to actually cook an egg on the rock. If you plan on hiking Mt. Batur, be aware that a single company runs a monopoly on guided tours to the top, and they charge a fortune. Even if you arrange your own transportation to the base of the mountain, you’ll be approached relentlessly by tour guides claiming that it’s required for that you hire a guide to reach the top of the mountain. This isn’t true. Simply purchase or download a map of the area (I recommend the free maps.me app) and follow the trail to the top. No matter where you go in Bali, bicycles and motorcycles are available for rent, usually quite cheaply. Taking either of these options is a great way to explore some of the less touristy parts of Bali. As built up as the island is, there’s still a handful of local villages that see few tourists, especially near the center of the island. Surrounding these villages are luscious farms and jungle that’s just ripe for exploration. Best of all, most of Bali is covered by a series of parallel roads, meaning you can return to your hotel using a different route than when you left. Perhaps one of the most iconic sights of Bali is the majestic dolphin, jumping from the ocean during sunrise. This sight is actually quite common near Lovina, a town on Bali’s northern coast. 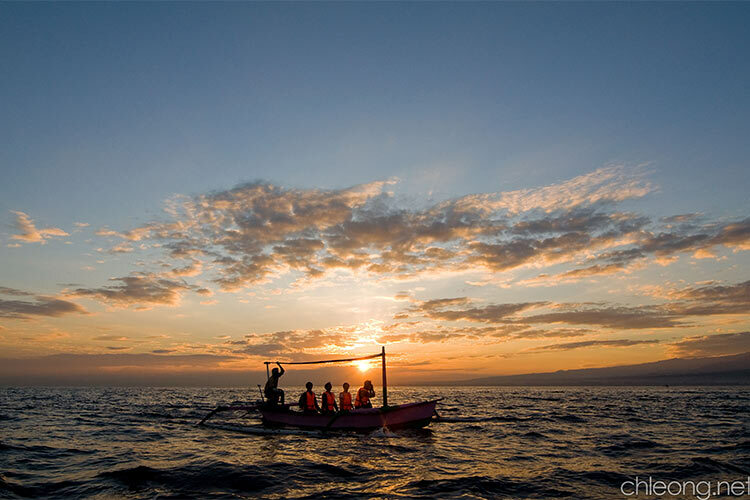 After you’ve arrived in Lovina, you’ll notice tons of tour agencies and individuals offering dolphin tours. Be sure to do some research before you pick a company, however. Some tour agencies are known to relentlessly hunt down the dolphins, even using bait to get them to come closer to the boats. This is not an ecotourist friendly way of seeing these beautiful animals. Plenty of other agencies, however, respect the dolphins personal space and seem intent on preserving their natural diet and habitats. While you’re in Lovina, don’t miss the black sand beach, either. Bali is surrounded by gorgeous beaches, but the dark composition of the sand in Lovina make it rather unique. If you’re lucky, it’s not unheard of to be able to see dolphins from the beach, either. They’re usually most active early in the morning.